FREE business opportunities and advice is available for local firms in and around Seaham, East Durham. 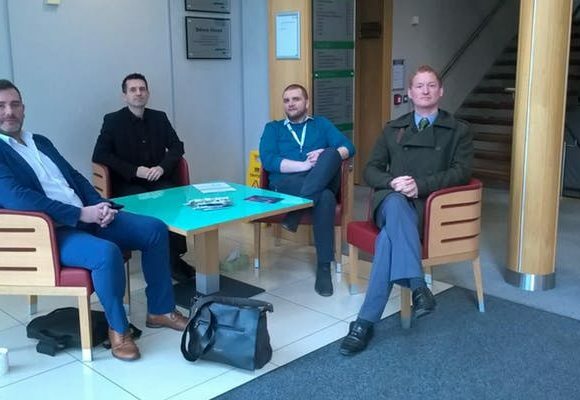 A quartet of experienced dedicated business advisors from Business Durham (Guy Bashford), North East Funds (Andrew Gibson), Department of International Trade (Paul Sparks) and Digital Drive Programme (Stephen Fenwick) to over businesses free and impartial advise to help businesses grow. This second of four business advisor drop in sessions is being held at the Lounge area of the lovely surroundings of Seaham Hall and Spa. The remaining two business advisor sessions are being held at Peterlee Novus Centre (30th May) and Ramside Hall (27th June).